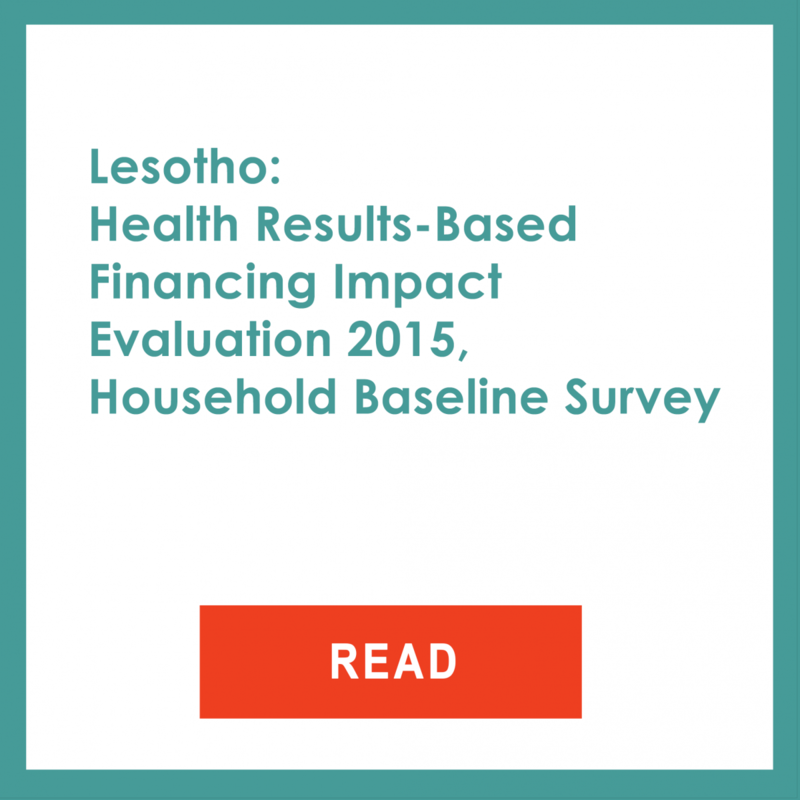 The Lesotho Health Results-Based Financing Impact Evaluation Baseline Survey was conducted in four districts: Mafeteng, Mohale’s Hoek, Mokhotlong and Thaba-Tseka of Lesotho, between March and June 2015. The pilot survey collected data from two districts (Leribe and Quthing) before scaling up to the four aforementioned districts. The objective of the survey was to measure outcomes prior to the implementation of the Health Performance-Based Financing (PBF) intervention. Data was collected in the four districts through household surveys and facility assessments of health centers. 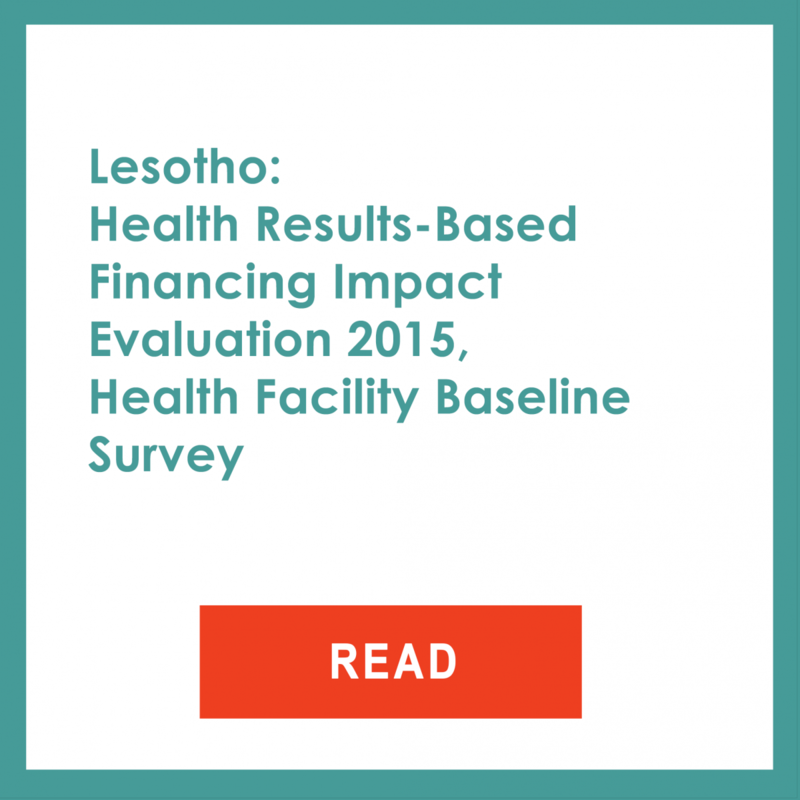 The survey is largely based on the Health Results Innovation Trust Fund (HRITF) instruments that were modified to the Lesotho and project context. The baseline survey consists of two main sources of data: 1) a household survey (documented here) and 2) a health facility-based survey. - The primary goal of the household survey is to measure health service coverage at the population level as well as select health outcome indicators measured through anthropometry or tests. The survey also collects broader data on the health of the households, health seeking behaviors and barriers to use of health services. - The goal of the facility-based survey is to measure multiple dimensions of quality of care and collect detailed information on key aspects of facility functioning. It includes multiple components; a facility assessment, health provider interviews, and patient exit interviews.